Rogue Wolf Music - Learn Guitar, and music theory. 'Stanford University research has found for the first time that musical training improves how the brain processes the spoken word, a finding that researchers say could lead to improving the reading ability of children who have dyslexia and other reading problems. 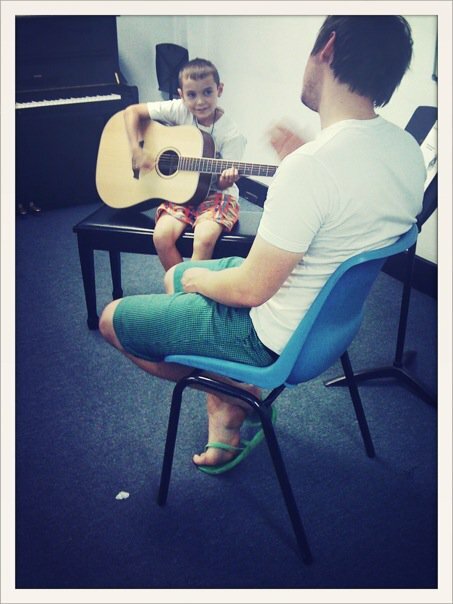 Structured Guitar lessons, and music theory or HSC tuition. Don't waste your time learning riff after riff and not gaining the skills or knowledge you need to improve. Beginner to Advanced. All ages welcome. It's never too late to start. Hey there! I'm a qualified musician (Bachelor of Music) and have been teaching for several years now. I've taught students of all ages and I am continually improving my methods. I look forward to hearing from you! - Neal Critchley. 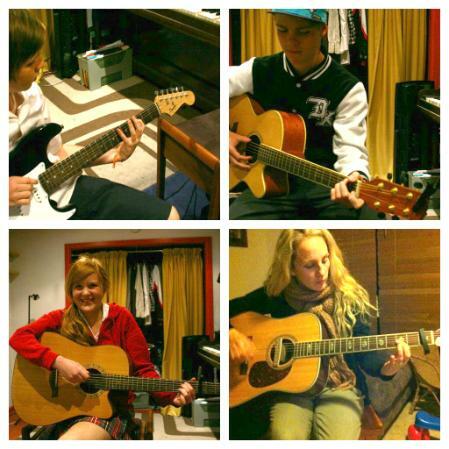 G4 GUITAR METHOD -Click here for other guitar school locations and contact details.